It’s finally here, the final week of winter percussion! WGI Finals, hosted primarily in Dayton, OH, will start early Wednesday morning and conclude late Saturday night. Once again, Chops Percussion will be heading out to finals to support the groups that make our success possible. We are truly fortunate to have 14 groups from Indiana this year, a #TeamIndiana Record! Although we hope you are able to attend finals in person; there are other great ways to follow your favorite groups and us as we head to Dayton. Chops Percussion, in an effort to further connect with our customers and to better showcase our amazing programs, will be doing live coverage again on our Instagram, Snapchat, Facebook and Twitter accounts (handles listed below)! Please follow us on all our various social media platforms and we can’t wait to see you at WGI Finals this weekend! 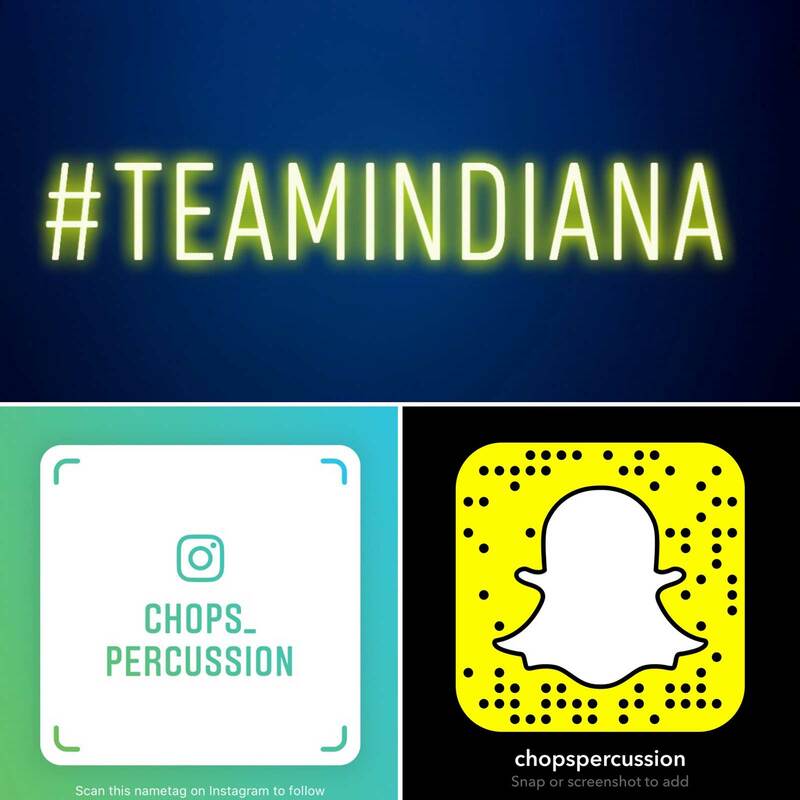 Finally, do not forget to use the hashtag #TeamIndiana this weekend and make sure to tag Chops Percussion if you want your posts shared!